The number of Indian killed in the horrific shootings in two mosques in New Zealand’s Christchurch rose to five on Saturday after Mohammad Farhaj Ahsan, the 30-year-old electrical engineer and three Gujaratis including a father-son duo from Vadodara and a resident of Ahmedabad were declared dead on Saturday. Another 30-year-old man from Telangana’s Karimnagar district, Mohammed Imran Khan, lost his life in the firing on Saturday, report Hindustan Times. 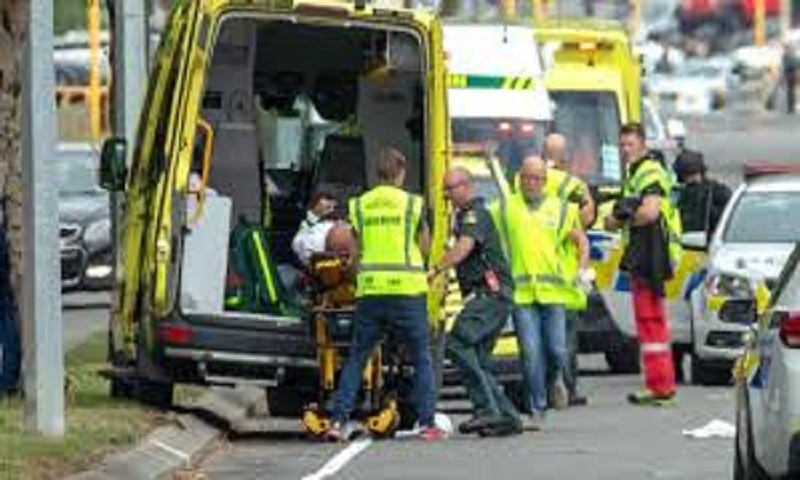 “We have just received a message from New Zealand authorities that Ahsan passed away in the shooting,” his brother Khasim Khan said. Hailing from Hyderabad’s Tolichowki area, Ahsan had gone to Al Noor Mosque for Friday prayers but did not return home after a gunman opened indiscriminate fire on worshippers. His wife, Insha Aziz, had got panicky and called Ahsan’s father, Mohammad Sayeeduddin, and mother Imtiaz Fatima. “My daughter-in-law called us on Friday afternoon and said that Ahsan had gone to the mosque where the firing took place. There was no information about him. We have been in constant touch with her,” Sayeeduddin told reporters. Ahsan went to Christchurch six years ago and had been working there. He took his wife and two kids – three-year-old daughter and seven-year-old son – there two years ago. Manzoor Ahmed Khan, who owns Al Manzoor marriage hall in Karimnagar town, said he had received a call from his brother’s family, now settled in Chicago in the US, about Imran’s death. “Imran fell to the assassin’s bullets at Al Noor Masjid where he had gone for Friday prayers,” Khan told this reporter over the phone. Khan said that Imran, who studied up to Class 12 in Hyderabad, went to New Zealand in search of a job some years ago and got involved in some kind of business activity there. His father, Masood Ahmed Khan, and the rest of his family left that country and settled in Chicago in the US after some time. Khan did not clarfiy when exactly the family immigrated to New Zealand or when they – apart from Imran – left for the US. Mehboob Khokkhar, a retired employee of Gujarat Electricity Board, was visiting his son Imran, who has settled in NZ. He was gravely wounded and declared dead on Saturday.